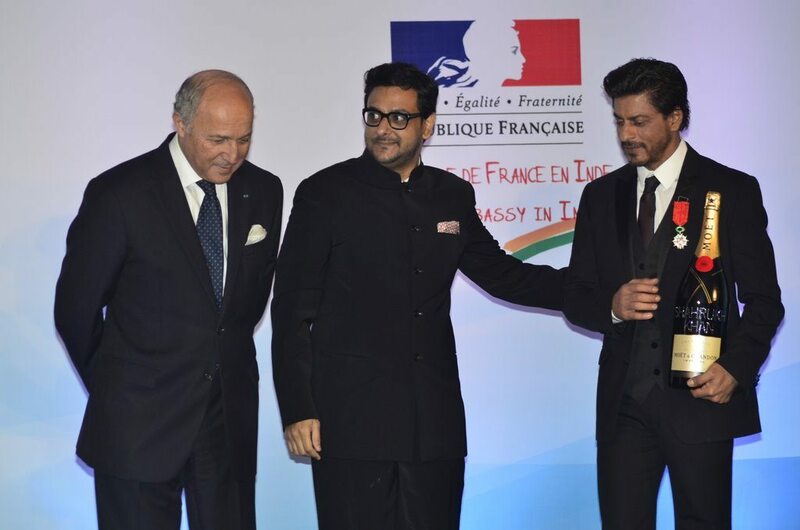 Shahrukh Khan honored with highest French distinction. 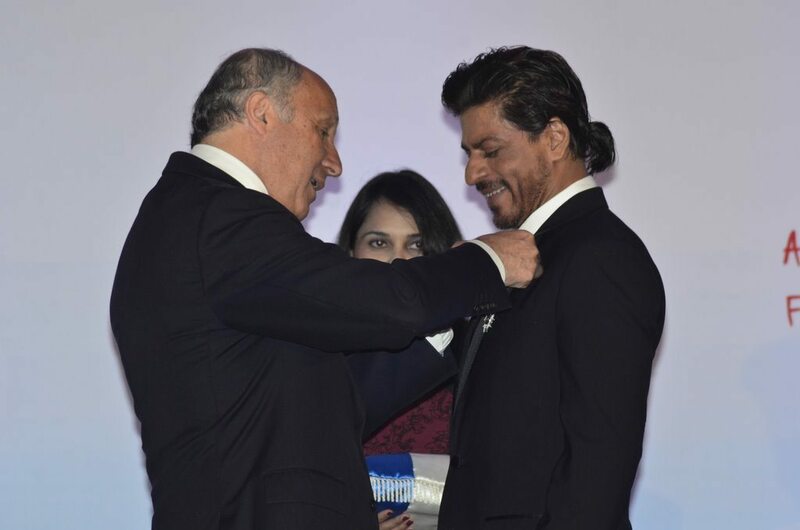 Bollywood superstar Shahrukh Khan has once again made his country proud, on Tuesday July 1, 2014, king Khan was conferred with the Knight of the Legion Honour by the French government’s – Minister of Foreign Affairs and International Development – Mr. Laurent Fabius. The gala soirée was held at the Taj Mahal Palace Hotel In Mumbai. It was a proud and emotional moment for the ‘My Name is Khan’ actor as the day also co-incidentally marked his mother’s birth anniversary. The award was first instituted by Napoleaon Bonaparte on 1802. 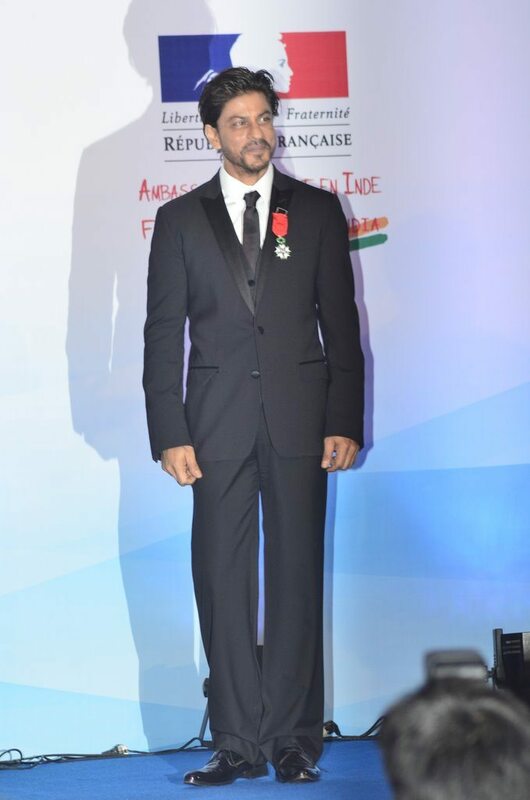 This is not the first time the actor has been conferred upon with a prestigious title, in 2007, he was honored with the Ordre des Arts et des Lettres by the French government for his contribution in the field of arts. 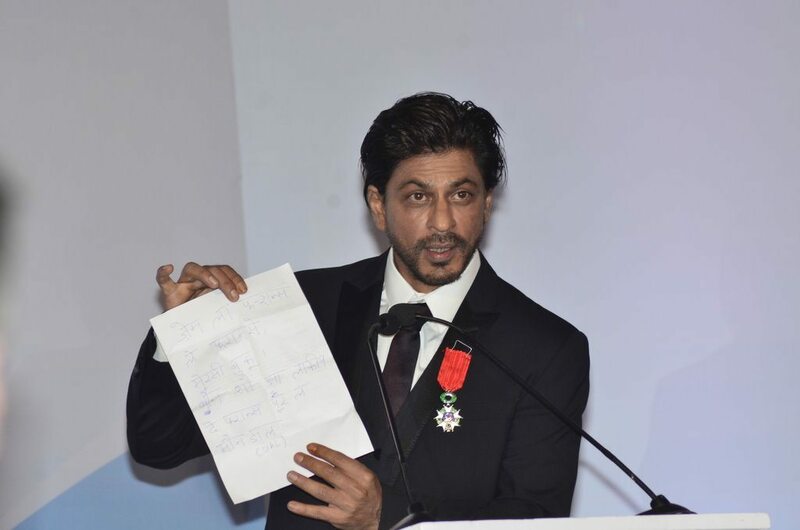 Shahrukh’s acceptance speech made audiences catch their breath with laughter as he read out from a note in hindi which was actually french!